Earlier this week, NASCAR CEO and Chairman Brian France was charged in New York with Driving While Impaired (DWI) and possession of a controlled substance. According to the police report, France was stopped for failing to stop at stop sign. The subsequent investigation determined that France was driving in an impaired condition, and a subsequent search resulted in the police discovering France in possession of oxycodone pills. France’s DWI charge is actually charged as aggravated driving while impaired, and this charge only occurs in New York when an individual’s blood alcohol content is 0.18 or higher. Both of these charges are pending in New York, but what would happen if France was charged with possession of oxycodone and DWI in North Carolina? First of all, similar to North Carolina, both of France’s charges would be misdemeanor offenses based upon the facts and circumstances of his case. In North Carolina, the possession of oxycodone becomes a felony offense when the possession involves more than 100 pills. France was found in possession of five pills, therefore he would be charged in North Carolina with a class 1 misdemeanor, which carries a maximum punishment of 120 days in jail. With respect to the charge of DWI, France’s sentence and judgment would depend on a number of factors. Most of the time, without some type of grossly aggravating factor, an individual’s first conviction for DWI will not result in an active jail sentence. 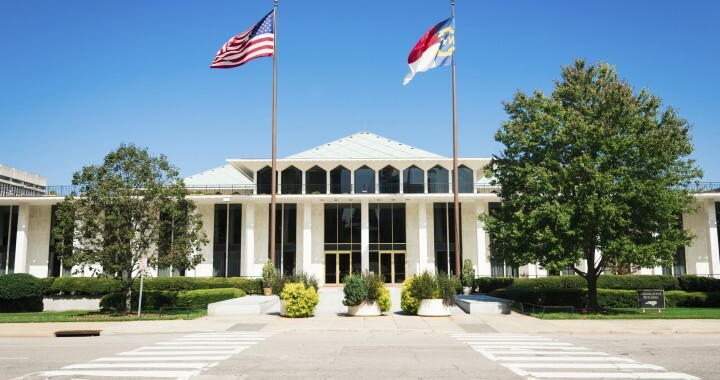 However, one of the consequences for a DWI conviction is a one-year suspension of the drivers license, but it is also possible to immediately petition the court for a limited driving privilege on the day of conviction as long as certain requirements are met under North Carolina law. France, however, was charged with aggravated driving due to what appears to ban alcohol content of 0.18 or higher. Therefore, under North Carolina law, France would not immediately qualify for a limited driving privilege. In fact, under North Carolina law, whenever an individual is convicted of DWI with a blood alcohol content of 0.15 or higher, that individual is not allowed to obtain a limited privilege until 45 days after the DWI conviction. In addition, a blood alcohol content of 0.15 or higher also requires that an interlock device be installed in the vehicle as one of the conditions of obtaining a limited driving privilege. A Driving While Impaired (DWI) charge is a serious charge with significant penalties and consequences and a lot of issues that must be analyzed and considered. The investigating officer must have reasonable suspicion to stop your vehicle as well as probable cause to arrest you. Drug charges are also serious cases with lasting ramifications that can affect you for the rest of your life. Therefore, if you are charged with Driving While Impaired or a misdemeanor drug charge in Winston-Salem, Forsyth County, North Carolina or one of the surrounding counties, you need an experienced North Carolina DWI attorney and criminal attorney to handle your case. An experienced Winston-Salem DWI attorney, with experience in North Carolina DWI law and criminal law, will guide you through this process to make sure that all of your rights are being protected and that all of your possible defenses are being asserted. Please call us at (336) 725-6559 and schedule a free consultation with a Winston-Salem lawyer to assist you. Our office is located for your convenience in downtown Winston-Salem, North Carolina. Posted in blog and tagged 20-138.1, Brian France, class 1 misdemeanor, Driving While Impaired, DWI, DWI lawyer, Forsyth County drug charges, NC misdemeanor drug charges, North Carolina crime, North Carolina criminal law, Winston-Salem drug charges, Winston-Salem DWI attorney, Winston-Salem DWI lawyer.